ACVITS (https://www.acvits.info) is an advanced Content Management System to manage the electronic documents. The application features centralized document management folders, shared and personal to collaborate with internal users, groups, and the public. ACVITS is designed to meet HIPAA and FERPA compliances. The application has an intuitive style, customizable document retention policy settings to match with your organizational policy. It has a dashboard to communicate with all stakeholders and a portal system to integrate with other web applications. ACVITS supports all electronic file types like documents, photos, videos and engineering drawings, and can save a very large file, such as a log file up to 5TB. The application’s bulk load process runs 10x parallel, faster to load millions of files quickly. A feature to protect intellectual property includes a default granular privileges setting that prevent a file being forwarded or downloaded by a recipient. The product helps you in contract renewal or recertification process by setting a reminder on documents with a note. You can use customizable workflows to vet documents. An easy litigation hold copies and granular audit reports are great features for schools and public facing organization. The product runs on Amazon AWS Enterprise Infrastructure, best in the Cloud Platform. 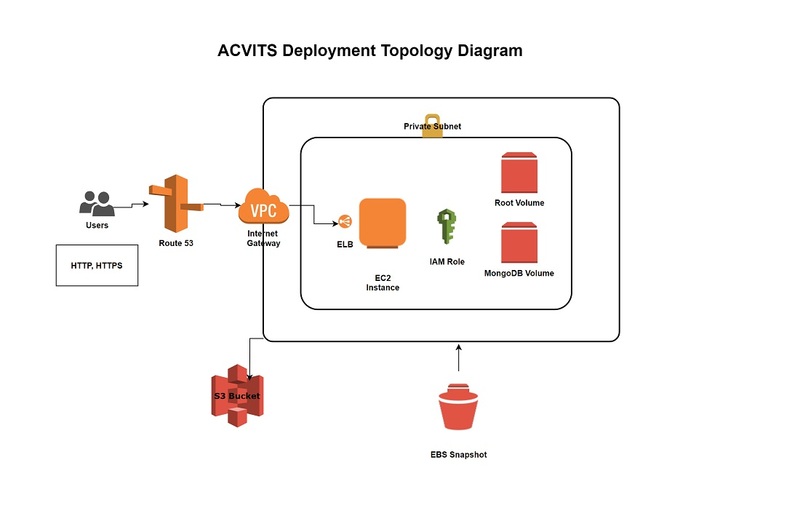 ACVITS, an enterprise content management system on Amazon AWS platform. This feature rich application can be deployed under 30 minutes and be made available to thousands of users securely.